You guys. It’s a big day! 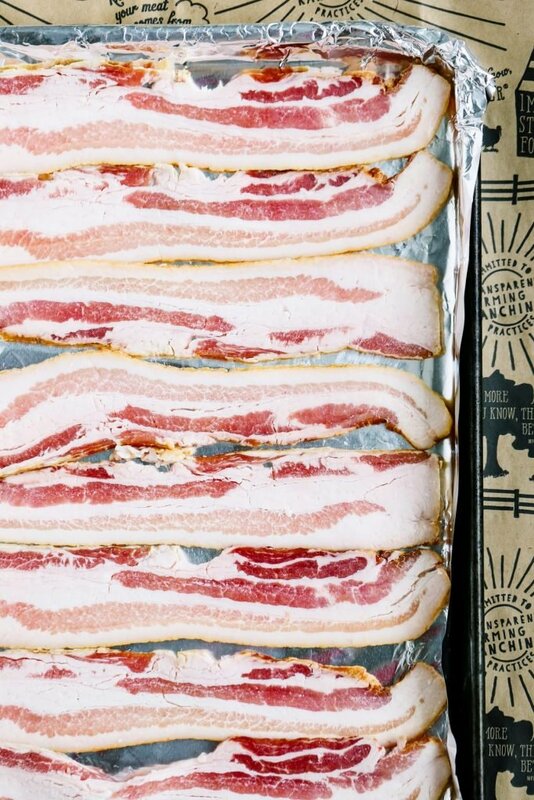 Let’s set aside the popsicles, ice cream, and big summer salads to talk bacon. See, big! 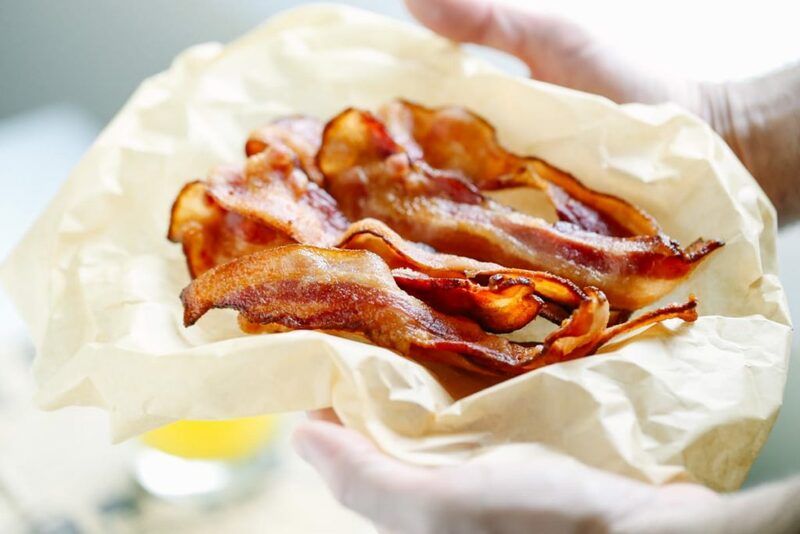 Today, I’m going to revolutionize bacon for you…make it simple and clean. And if it’s possible bring perfection to this already divine world. Now, let me be honest. Ready for a gasp? Deep breath, friend…I’ve never been much of a bacon fan. 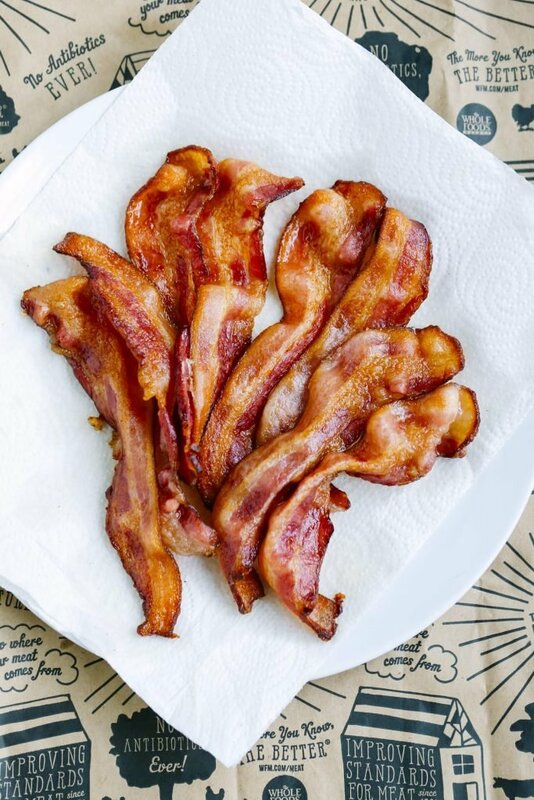 Growing up, we ate bacon on special occasions, but it certainly didn’t grace our table regularly. Maybe it was the mess involved in cooking a few greasy slices? Or the fact that I grew up in the 80’s? The age of big hair and the low-fat frenzy. High fat bacon was no bueno! Fast forward twenty years to my real food conversion. Bacon was definitely off the table! After my first viewing of the infamous documentary, Food INC, I decided all animal products were pure evil. Dustin graciously accepted the change and tried hard to embrace our new world of leafy kale and mushy tofu. My wake-up call rang loudly when our first child, Piper, entered the toddler years. After a short year-and-a-half of 100% plant-based-avoid-all-fat, my body craved meat and my son was deficient in a vital nutrient, fat! 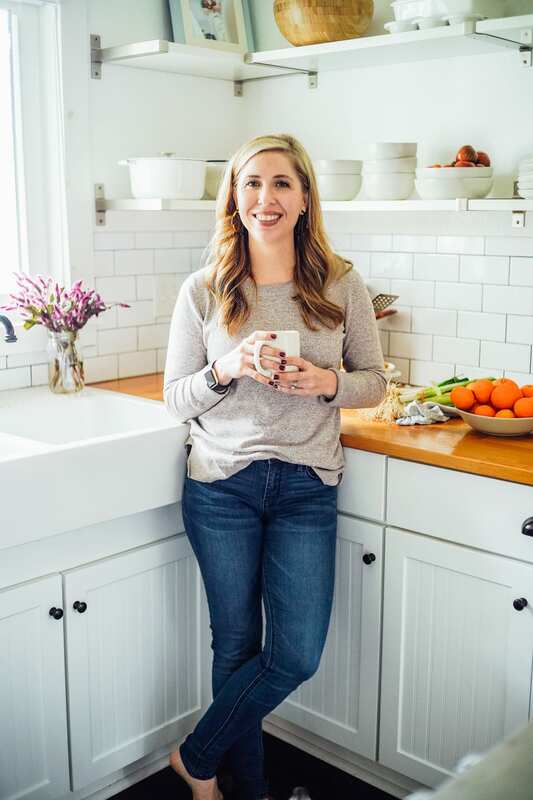 Soon, this former plant-based vegan bought half a pastured cow and pig from a farmer. Miracle! Dustin secretly cheered at the sight of bacon in the freezer and absence of tofu on his plate. Half a pig meant bacon. 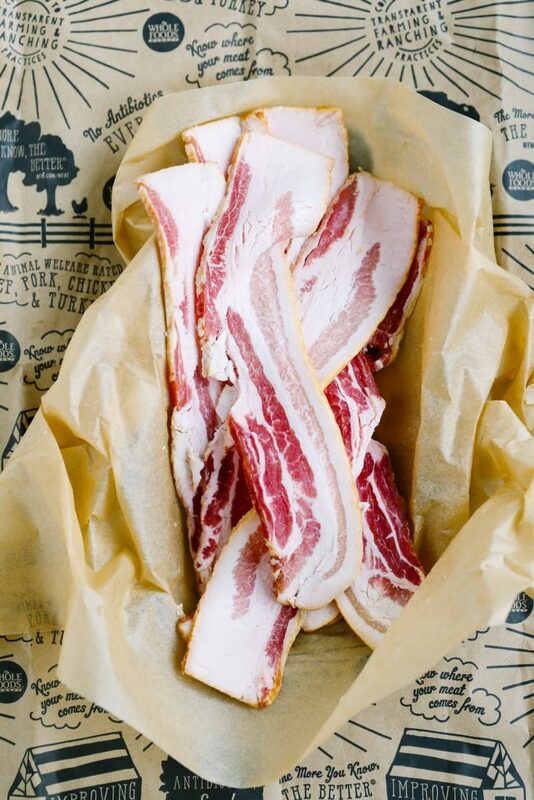 And here’s the thing about bacon…once you taste that divine crispy strip of heaven, it’s hard to stop. “All-things, bacon!” Don’t worry, friend, I fully practice moderation…except when bacon is involved. My new found love for bacon instantly stops with the cooking process. The grease is just too much for someone already possessing OCD cleaning habits. A few weeks ago, I spent a weekend with my favorite blog friends. The weekend was filled with amazing food. Six food bloggers in one home, located in a hippie town can only mean one thing, bacon. 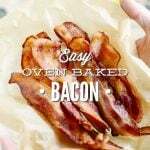 The first morning I curiously watched as my friend Jessica opened the bacon package, heated the oven, and carefully laid strips of pastured bacon on a pan. My skeptical instinct kicked in. I watched, waited, and twenty minutes later tasted my first bite of crispy perfection. 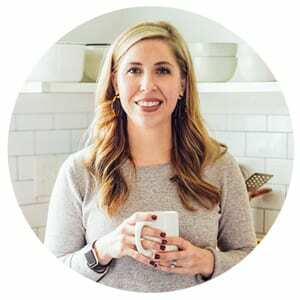 Today, it’s my goal to revolutionize your bacon-making! Let’s preheat the oven, open that package of bacon just waiting to be cooked, and enjoy a no-mess crispy slice of bacon perfection. You can thank me later. Line a rectangular baking pan with foil. This is optional, but helps with easy clean-up. If you don't believe in foil, simply skip this step. Lay the bacon on the baking pan. Do not layer the bacon. Cook the bacon for 18-20 minutes. Remove bacon from the oven. 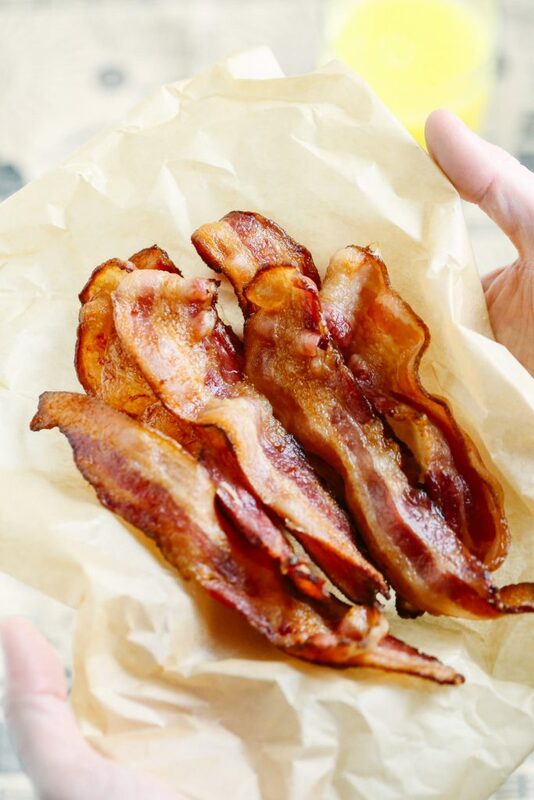 Place bacon strips on a paper towel to absorb grease. Serve. If you buy farmer-direct grassfed pork, this recipe will burn your bacon! Better to use lower heat and check after about 12-15 minutes. Hey Rosalea, that’s a great tip. Thanks for sharing! We buy direct from a farmer and this method works great for us- the bacon is cured. Bacon coming straight from the farm will vary significantly. Thanks so much, Kelly! I had a great time and came home with the wonderful bacon-baking knowledge, lol. Talk to you soon! It’s perfect for My loaf bread, egg and coffee in the morning! 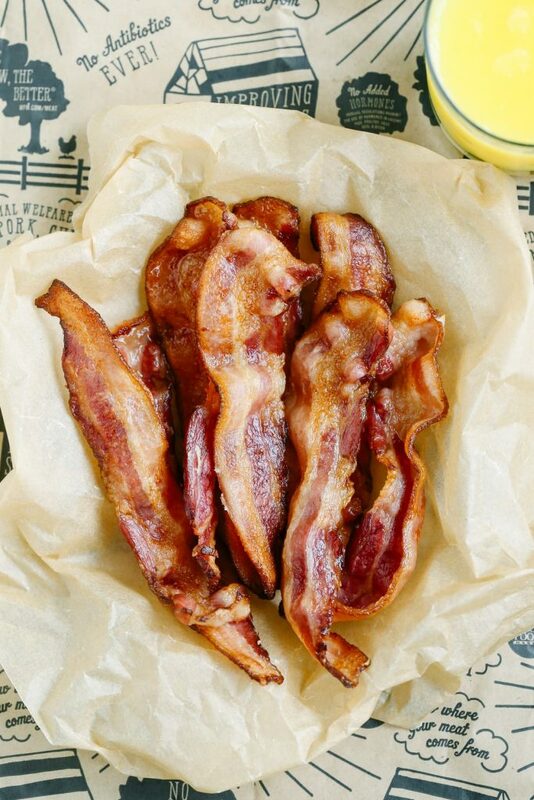 I guess I’ll try this baked bacon too..
Parchment paper works great instead of the foil. Also, I turn the bacon over 1/2 way. I do the same, & it you want to avoid grease spatters in your oven just cover with another piece of parchment …works great! Awesome idea, Candee! Thank you for sharing! I need to try this – one of my girls is a bacon freak LOL – we have bacon almost every morning. This method has transformed my bacon-making ;). Bacon every morning!! It looks so tasty! Thank you for sharing, Kristin! I can’t wait to try it myself! Friendly regards!